In addition to Military benefits and savings available to active duty and retired personnel, SatoVacations has fantastic last minute travel deals and special offers so that wherever and whenever you want to travel, we'll take care of it. Booking your vacation early is always a good idea, but if you feel a spontaneous desire to travel, you shouldn't have to settle for airfares and accommodations that don't suit your tastes and needs. Whether it's skiing the slopes, sailing the seas, or taking tours, it's your world of possibilities, and we can make it happen. 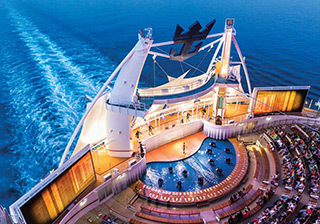 Combine Extra Amenities with Royal Caribbean deals to save more. Sail the world's most popular destinations with Royal Caribbean and embark on a vacation that exceeds every expectation. Take a culinary journey or rejuvenate the body, mind and spirit, with this exclusive bonus. Book a balcony stateroom on any 7-night or longer sailing and enjoy a complimentary specialty dinner for two or book a Junior Suite and enjoy a complimentary specialty dinner for two, plus one complimentary Vitality Spa treatment. Discover the ultimate vacation experience on Royal Caribbean International. Combine exclusive perks with Celebrity Cruises specials and save more. Take a Celebrity Cruise and you’ll be in the perfect place at the perfect time, experiencing the pinnacle of modern luxury. Experience impeccable service, world-class cuisine at unique specialty restaurants and an array of luxury boutiques onboard Celebrity Cruises. Book a Verandah stateroom and receive complimentary specialty dining for two. Upgrade to a Suite and receive complimentary specialty dining for two and a $75 onboard shopping credit. 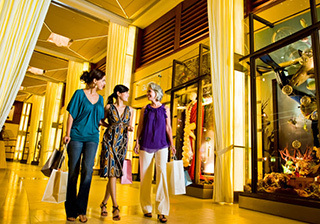 Celebrity Cruises has everything for the foodie or the shopaholic in you. 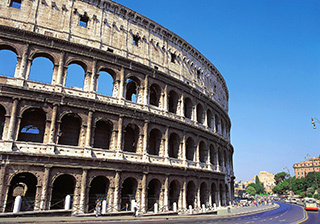 Save $50 per person on Europe Vacations. Plus combine exclusive savings with other Globus travel deals. 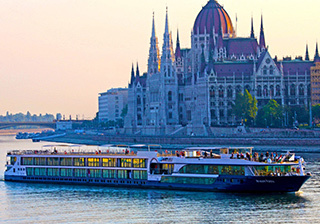 Save $50 per person and experience Globus fully escorted tours, independent holiday packages or river cruise holidays. 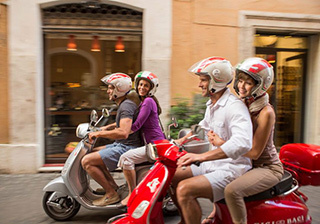 Globus offers hundreds of unique itineraries for today's diverse traveler. Norwegian Cruise Line® invites you to enjoy Freestyle Cruising. With unique and exciting itineraries, no fixed dining times, relaxed attire, several distinct dining options and relaxed disembarkation, Norwegian gives you the freedom and flexibility to design your ideal cruise vacation. Receive up to $300 to spend onboard select sailings. Combine Exclusive savings with Avalon promotions and save more! Glide past imposing medieval castles, lush riverbank vineyards and remarkable ancient wonders on your Avalon European river cruise. 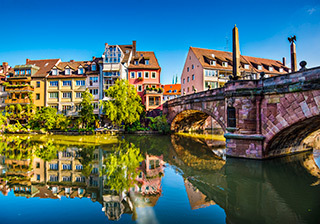 Every bend of the river reveals another fascinating sight as your luxurious river cruise ship winds its way through scenic landscapes, delivering you to Europe's most celebrated cities. Combine with other Monograms offers and save more! Monograms Europe vacation packages are perfect for the independent traveler seeking unique experiences in travel. Monograms gives you VIP access and insights from a local's perspective. Enjoy all the benefits of independent travel, without all the planning so you can get the most out of your vacation. Combine with other AmaWaterways deals and save more. Combine with Oceania OLife Choice and Save More. 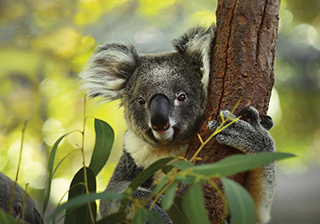 Explore the world in comfort and save 5% on select Oceania sailings. 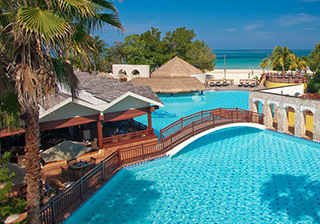 Plus combine with Oceania OLife Choice of free airfare and choice of 3 free amenities. 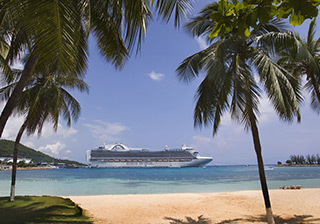 Oceania Cruises is the world’s largest upper premium cruise line. 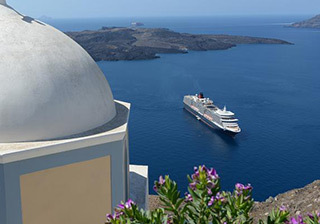 Featuring a fleet of warm, luxurious, spacious and elegant ships, Oceania Cruises offers an unrivaled vacation experience renowned for its gourmet culinary program and its array of destination-rich itineraries spanning the globe. Worry a little less and travel a little more. Saluting soldiers with Carnival's best Military fares and deals. 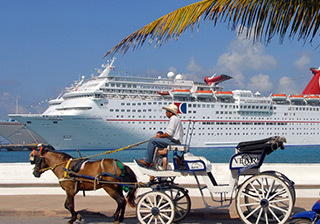 Carnival offers special Military cruise deals and cruise packages to the most popular destinations. Find great deals and specials on Caribbean, The Bahamas, Alaska, and Mexico cruises. Cunard is pleased to offer up to $250 free onboard spending money for veterans as well as active, retired or disabled military personnel. Wherever you choose to discover you'll find well-appointed accommodation, fine dining, fabulous entertainment and outstanding service with Cunard. 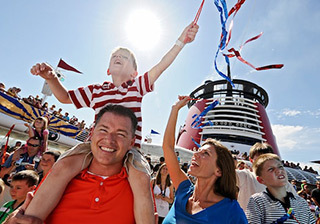 In honor of the brave men and women who serve this country, Disney Cruise Line is proud to offer special military rates on select Disney cruises. Save 25% - 40% off standard rates on select sailings. Special military rates are limited to a maximum of one stateroom per military member, per sailing. Cast off on an unforgettable adventure for the entire family! During your cruise, you and your loved ones can enjoy outstanding dining, world-class entertainment, spacious accommodations and legendary service. As a preferred partner of MSC Cruises we are is pleased to offer reduced partner rates. There's a perfect cruise tailored to your needs with fantastic savings to destinations worldwide aboard one of MSC Cruises' fascinating ships. 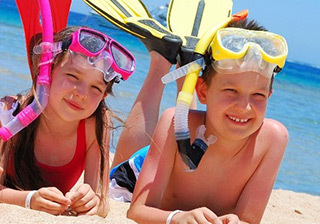 Plus, Kids sail free on select sailings Discount varies by ship/sailing. Kids sail free on most cruises. *Kids under 17 years are free on most sailings; when booked as 3rd/4th person in the same stateroom. On selected cruises when child not free of charge, a reduced child rate is available. To thank the brave men and women for their service, Princess Cruises® offers up to $250 free onboard spending money for veterans as well as active, retired or disabled military personnel. This special military benefit is eligible on any cruise, any time of the year and can be used to purchase a wide variety of amenities and experiences including spa treatments; dining in specialty restaurants; and shore excursions. Royal Caribbean offers up to 20% off for Active and Retired Military on select sailings. Current promotions may exceed the Military Discount benefit so you can be assured that SatoVacations will compare discounts and always offer you the lowest possible rate available. Your perfect family getaway awaits you at Beaches all-inclusive Resorts in Jamaica and Turks and Caicos. Play on pristine, white–sand beaches caressed by crystal-clear seas. Spend your family vacation in luxurious rooms and suites. Enjoy a whole array of incredibly exciting and fun activities for kids of every age. Truly, Beaches Luxury Included® vacation package deals in Jamaica and Turks & Caicos promise unforgettable family fun beneath the Caribbean sun. 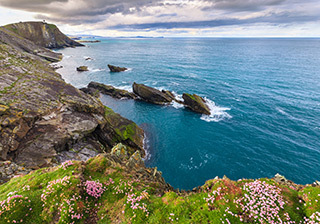 Nobody knows Ireland and Scotland like Brendan Vacations. These perfectly-planned, effortless trips deliver an insider's view. It's all brought to life by your Travel Director and complete with local flavors and characters, VIP access and all the details taken care of. 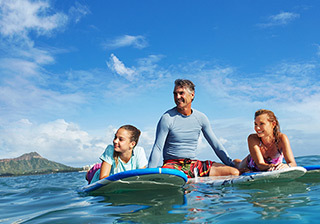 Save $50 per person with SatoVacations exclusive discount and Military save 5%. Combine with current promotions to save even more. As a way to say thank you for everything you do to serve our country, Delta Vacations® is giving you an exclusive military travel discount toward your next getaway. You'll save up to $300 per booking, plus you can earn up to 8,500 bonus miles through the SkyMiles® program! Choose from any of the 250+ destinations—you could head to the mile-long beaches of Mexico or the Caribbean, the nonstop family fun in Orlando, the nightlife extravaganza of Las Vegas, the cobblestone streets of Paris or Rome, and much more. Save up to $300 off Mexico, Caribbean & Hawaii Vacations! Contact a Travel Advisor to save up to $300 on Hawaii, the Caribbean & Mexico getaways. Sun getaways are even more relaxing with savings of up to $300 on vacations to Mexico, Caribbean and Hawaii. Plus, combine with other promotions to save even more on your sun getaway. 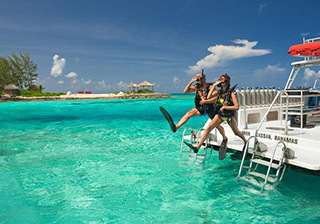 Funjet is dedicated to deliver experiences of uninterrupted fun for an unforgettable vacation. Your SatoVacations Travel Advisor will help you every step of the way, from start to finish, so you can worry a little less and travel a little more. Combine Goway’s promotions and exclusive savings to save more. Specializing in independent and customized travel, Goway Travel has been providing unforgettable vacation experiences to some of the world's most exotic and interesting destinations, such as; Downunder, Africa, Asia, Central and South America and the World’s Most Idyllic Islands. Explore the world your way with a 5% discount from Goway and CWT. In appreciation of your services and commitment, Sandals Resorts would like to extend a great offer just for you! Enjoy a well-deserved vacation to the Caribbean with endless white sand on some of the world's most exquisite beaches, savory dining experiences, lush accommodations, unlimited refreshing beverages, exciting watersports and much more. At our Luxury Included resorts you can truly delight in love from Jamaica to St. Lucia, Antigua, the Bahamas, Grenada and Barbados. Relaxation meets exploration. Make way for authentic experiences and a taste of local life. Experience Europe's captivating charm, meet local characters and enjoy the warmth of a truly European welcome. Your Trafalgar escorted tour vacation is more affordable with added Military savings of $75 per person. Combine with Autumn, Winter or Spring Early Payment Discount and select promotions. Indulge yourself with a one-of-a-kind visit to England with the Beekman Boys. Join these special hosts to experience London like a royal with private visits to the Crown Jewels, Kensington Palace, and historic shops serving the British Royal Family. Experience gourmet high tea, feast on farm-to-fork local specialties at an organic farm, and enjoy a special dinner at Oxford University. Revel in the sights and sounds of Christmas with unique experiences on this amazing Trip of a Lifetime! Join the Beekman Boys to experience the very best of Kenya from bustling Nairobi to game reserves teeming with wildlife: zebra, giraffe, elephant, lion and more. Discover rustic luxury at wilderness camps with spectacular landscapes, a variety of animals, and spectacular sunsets. Then relax on the idyllic beaches of Lamu, a UNESCO World Heritage Site. The adventure ends in the shadow of Kilimanjaro, where you may choose the optional extension to climb Kilimanjaro without a summit. Put this Trip of a Lifetime on your bucket list! Philadelphia is known for its history, food, art, and museums. It’s also known as America’s Gardening Capital. Why? Philadelphia and the Delaware Valley now claim the largest concentration of many of the finest public and private gardens in the world. In fact, the entire region is often called “America’s Gateway to Gardens”. Join C. Colston Burrell for this journey to Philadelphia’s western suburbs, Northern Delaware, and the bucolic countryside of Bucks County along the Delaware River.